This weekend was a foodie weekend. Partially by design, and partially by needing to use some Groupons before they expire. I ended up going to View Kitchen and Wine Bar when I belatedly realized that the Seafood Shack wasn’t open for lunch and had already made plans. Luckily my friend knew about this hidden gem in Tivoli Village, and off we went. Honestly, I hadn’t even realized that there was a second floor with restaurants and shops above Brio, so this was a new experience for me. The space itself was unique. Massive windows facing West, being completely open as well. It was a tapas place, which I didn’t realize going in, but didn’t mind at all. I ended up going with the Chicken Pot Pie Nuggets and the Lobster Mashed Potatoes (which I ended up taking home because I accidentally had a lunch before the lunch). 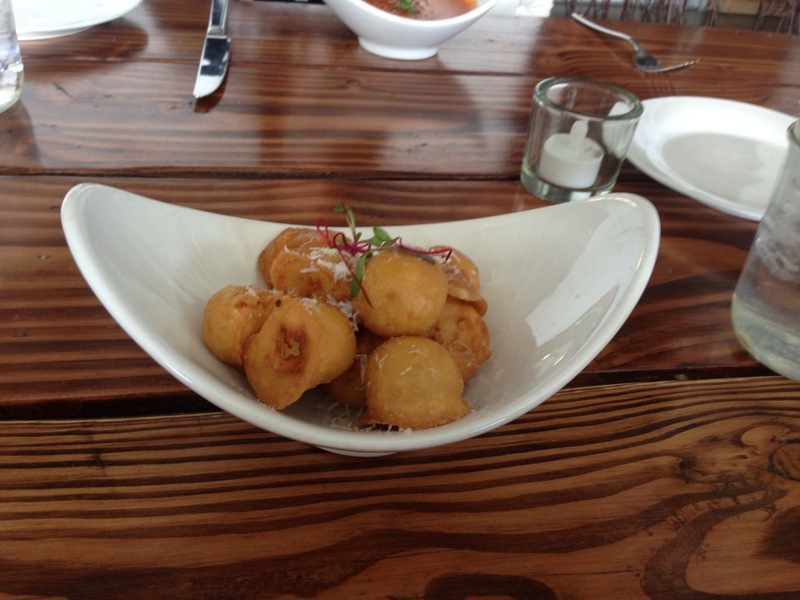 I had no idea what to expect with the Chicken Pot Pie Nuggets, but was blown away. I love chicken pot pie, and the fillings were fantastic, with a higher crust to filling ratio with the nuggets (I get really scientific sometimes). 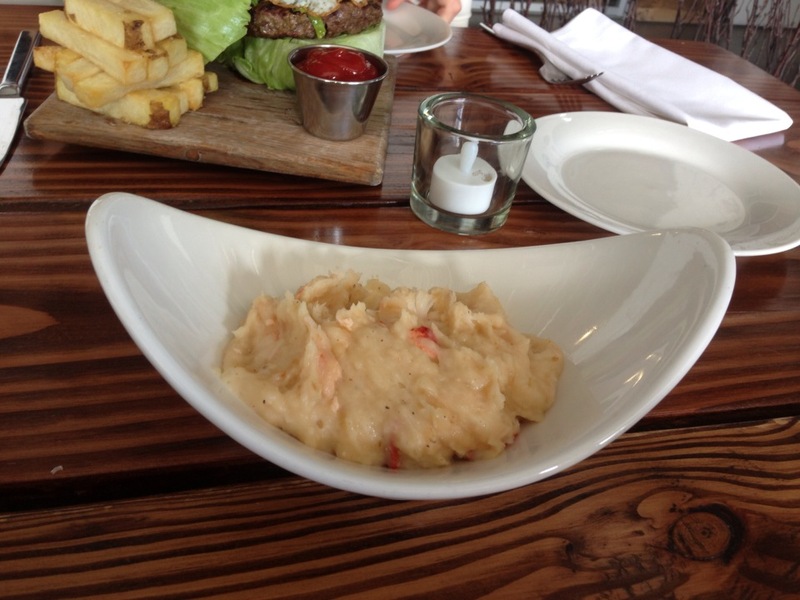 The mashed potatoes were also great. The most amusing part of the meal was my dining companion’s order. She is doing the paleo diet and going gluten free and ordered the tomato soup (which surprisingly had no dairy) and the burger. 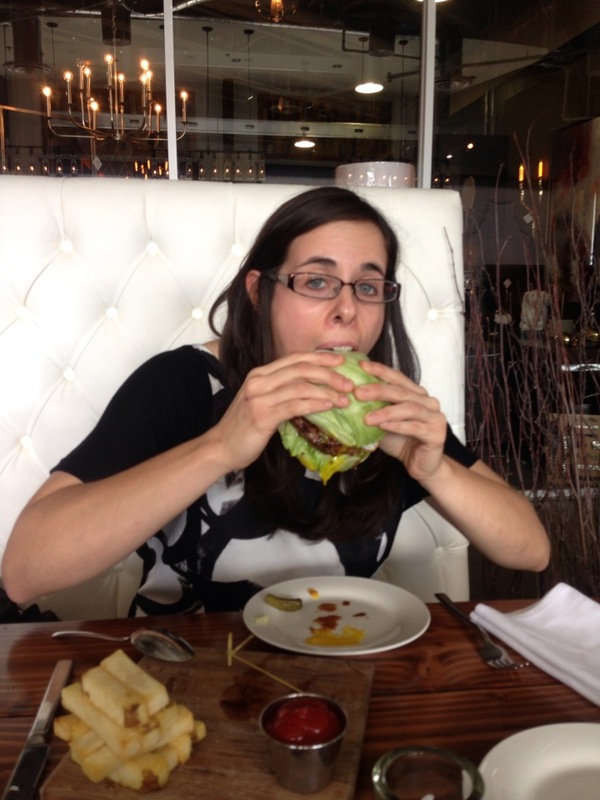 When you order a burger sans bun, most of the time you get the patties on a bed of lettuce. 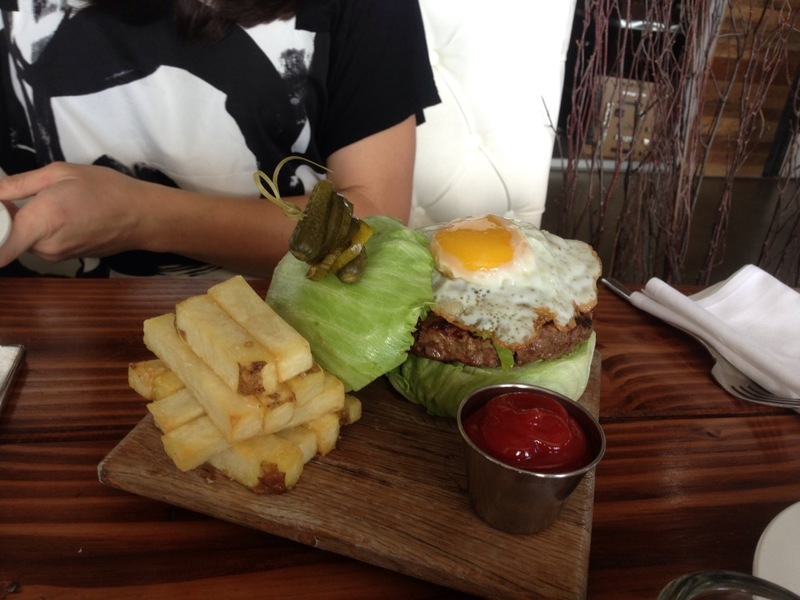 This was the first time I had ever seen a lettuce bun (aka, chopping a head of lettuce in half and building up the burger on top of it). I ended up having to eat her fries, and then had to deal with taking the food home. 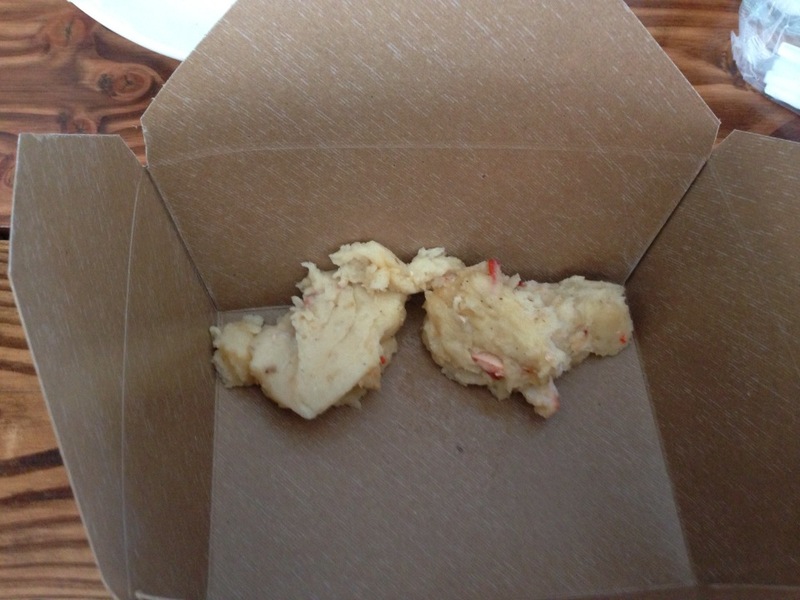 Just as a suggestion, but the place might want to invest in smaller take home boxes too. Silly moments aside, the place was great. The waitress went in and asked the chef for what modifications could be made to items so that my friend could have the widest variety of choices to choose from. They have the commitment from farm to table. And it was under $20 bucks! Rating- 5/5 Had no complaints at all (which is rare). What is even better is that there is a cupcake shop on the way down, and a crepe place by the stairs. Price range – Medium. Most items were under $10 bucks, but you’d need to get at least two for a meal. Recommendation – Definitely worth going to. Might be one of the hidden gems of Tivoli Village.